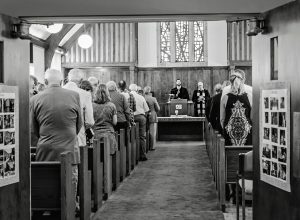 Newland Presbyterian Church, this is who we are: A caring fellowship of servants in Jesus Christ welcoming all in joyous worship, committed outreach and service, enthusiastic evangelism, and the building of confidence in God’s future. 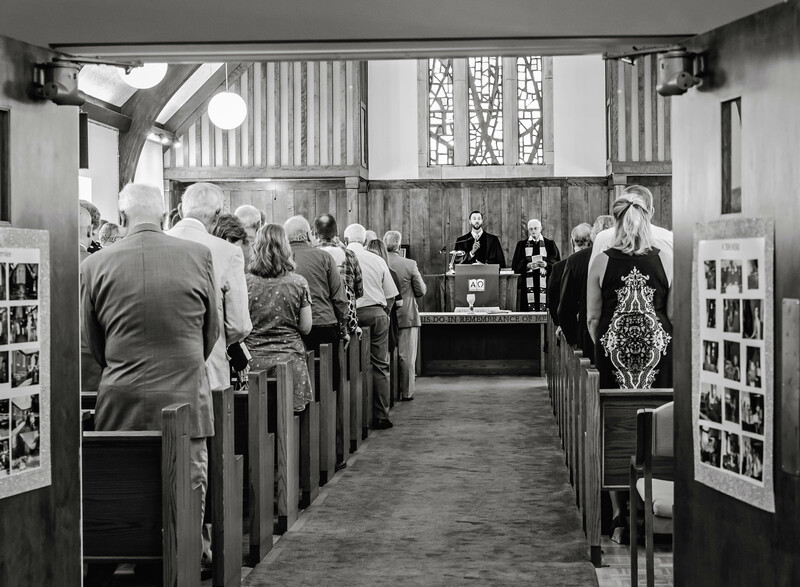 What an outstanding weekend we experienced as we celebrated the 100th Anniversary of Newland Presbyterian Church! And what a joyful experience it was to gather on the Square for a picnic with 100 other people connected to this congregation…in 70 weather…and with music from Don and Paul. Maybe my favorite moment of the whole picnic was watching such joy expressed in our kids as they ran here and there, kicking soccer balls and eating ice-cream and drinking a bottle of bubbles (Corbin! ), and showing in their precious way the new life we are discovering in our midst. And what a glorious time we also shared together in worship on Sunday, with folks spilling out into the hallway in the back, and with ministers from long ago leading us from the front, and with elders spinning tales (Joe! ), often at my expense, haha! What an incredible moment we experienced as our dear Martha Guy was recognized by the governor of North Carolina for the long history of service that she has carried out following Jesus as a member of this church. As an elder at NPC, what an example of Christ-like service she continues to be. Last August 20th, at our 100th Anniversary, I saw folks laughing and I saw folks crying and I saw all of you worshipping the God whose life we have come to share. So thank you for the privilege of being a part of this family, and thank you for the tireless effort that all of you put into making our 100th Anniversary celebration another amazing highlight in the long history of our congregation! It was a great and wonderful time for our church as we celebrated 100 years of service to our Lord with members, former members, friends and guests on Homecoming Sunday, August 20, 2017 . With God’s help we look forward to many more years of service and outreach. Reflecting on the event of our Anniversary brings much joy and praise: The excellent worship service led by Rev. Michael McKee, past ministers and the church choir, the presentation of “The Long Leaf Pine Award” to Martha Guy for her outstanding service to her church, county and state, as well as Joe Banner’s humorous history of the church as he remembered many facts, funny stories, various people, and important events. Rev. McKee gave a message of thanksgiving for the past history of our church, and praise and encouragement for now and the future to carry on God’s work here and in other places, as we reach out with love and care. God has been our church’s guiding light through the past years and we look to Him for guidance still today and in the future. Following the church service we enjoyed a delightful reception in the Fellowship Hall which was decorated, along with the Sunday School Room and the Hall, with beautiful flowers, great posters with many pictures of present and past members, pastors, friends, families, and church activities and events. Everyone enjoyed visiting and eating excellent hors d’oeuvres. A stunning birthday cake was presented to Martha Guy, who was celebrating her birthday on this memorable day. We looked back to the time Rev. Edgar Tufts and R.E. Piercy walked or rode horses across the mountain from Banner Elk into Newland. They stopped to rest on a knoll. That knoll is the very ground our church sits on today. These two men were truly men of God, and with great faith and vision they said this land would be a perfect place for a church. They traveled on to Elk Park, where the county business was carried out, and purchased the deed for the land the Newland Presbyterian Church sits on today. A small stick church building was soon constructed and Mr. Piercy began Sunday School after the building opened. What courage these men had to trust in God enough to undertake such a wonderful task. Look at Newland Presbyterian Church today! What blessings we have received through the years! To God be the glory and may we continue to work, grow, serve and reach out in His name today and always. During our Planning Period for our 100th Anniversary a great idea sprung up: Why don’t we ask members, friends and visitors who planned on joining the celebration to bring or mail some of their favorite recipes and we’ll create a New NPC Cook Book and call it Anniversary Cook Book! Our Cook Book Project is well under way! As I briefly searched through the 109 recipes (so far) – I noticed that the variety is wonderful. It will take time to sort out by category and check for duplicates, but we look forward to all the “good” reading. Our cut-off date for more recipes is October 31, 2017. Expect a new book by spring! I will keep you posted! Our nursery continues to be very busy on Sun. mornings from 9-12. During worship service, we average 4-5 children ranging in age from 6 months to 5 years of age. We have had as many as 9 children on special occasions like Homecoming. We are fortunate to have such caring and conscientious nursery attendants like Amber Johnson, Heather Austin, Linda Benfield, and Marlee Austin. They are doing an outstanding job of providing care and supervision of all the children participating. Regardless of the number of children or ages of the children, the nursery attendants keep the children engaged and interact with them as much as possible. They provide a program of activities, songs, and teaching a short Bible lesson whenever possible. Be sure to let the nursery staff know how fortunate we are to have them and how much we appreciate all they do to care for the children in our church. Newland Presbyterian Church has been participating for many years now in Samaritan’s Purse Program “Christmas Child Shoe Boxes”. This year as well we want to help with the task of supplying Christmas gifts for millions of needy children across the globe. Our goal is to fill 100 Boxes to be sent to children who need something! This is a great way we can be helpful to children who have nothing! It is fun to pick out items for the boxes and to know you gave something of yourself. The boxes can be brought to the church by Sunday, October 15th, or any time before then. Please put labels on the boxes and the money for postage in the box when returned. Make the check out to Newland Presbyterian church and mark: Postage. On Sunday, Sept. 18, 2016, the congregation of the church approved that the Board of Trustees (session) of NPC may obtain a loan of $150,000 to pay for the needed repairs to our church building. The three needed repairs stated at the meeting are: 1: New Roof – $52,000; 2: Water Damage Repairs – $35,000; 3: New Replacement Windows – $55,000. An explanation had been given prior to the motion that the loan would be paid off by a three year Capital Campaign to raise the money. A year has passed and much had been done. The new roof has been completed and paid for in full in the amount of $54,900 which is slightly below the original estimate. Repairs are virtually finished and paid for in the amount of $18,428.0 which is significantly below the original estimate. By determining new replacement windows were not necessary and simply repairing, re-glazing and repainting would suffice at a cost of $15,000 paid in full, another significant amount was saved. Paid for cost to date is $88,328. So far, $72,770 has been pledged; $53,643 has been given. This leaves us $34,685 short excluding pledged amount. A lot has been accomplished with much savings over estimates. The congregation is to be congratulated! However, remember we are still short $15,558 even if all pledges are met. Please keep this in mind and pray we continue to give and meet our goal! Fortunately, the water problems our building had last year have been repaired . Bob Shoffner, with expert help, created a list of 36 problems that needed to be fixed, many of them water related. That list has been 97% taken care of. As Bob noted in February, the new roof was completed, the parapets were 50% completed then, they are 100% complete now. We have installed five new awnings and re-covered the awning at the front door. Three new exterior steel doors have been installed, all with new awnings over them. The windows have been scraped, re-glazed, and painted inside and out in the old part of the building. The steeple has been scraped, sanded and repainted. The playground has a new drainfield and new mulch. We also had to have two new A/C units installed for the old part of the church. The ceiling and the lighting in the choir room have been fixed, both had been damaged by water leaks. The last thing on Bob’ list was some water-damaged plaster in Ina’s office, this will be addressed when we turn our attention to the up-dating of the library, which we hope to complete by late 2017 or early 2018. This was accomplished in addition to the little things that were needed to be done on a regular daily or weekly basis. I think you can see that the Building and Grounds Committee, along with the help of Michael and your Session, have had a busy year making physical improvements to our church. The funding for these improvements is coming from the 3 Year Capital Campaign. of the Building and Grounds Committee. Through God’s gift of music our hearts can be drawn to thoughtful worship. Here at Newland Presbyterian Church we are making a “joyful noise unto the Lord” – from traditional anthems to contemporary choruses … from full-stop organ to meditative a cappella. We together share in proclaiming God’s saving grace, His love, and His faithfulness through song, prayer and praise. Joy is our new member on our wonderful Worship Music team. Her children Kenneth, Lydia and Jonathan often come to join in and are so much appreciated by the church family! Our purpose as Presbyterian Women is to nurture our faith through prayer and Bible Study; to support the mission of the church worldwide; to work for justice and peace; and to build an inclusive, caring community of women that strengthens the Presbyterian Church (USA) and witnesses to the promise of God’s Kingdom. Our current Bible Study is Who is Jesus? This is a very exciting and interesting study of Jesus, as the messiah, the anointed one, who is both human and divine from various perspectives. We have studied Jesus according to the Gospel writers of Mark, Matthew, and Luke. Our next lesson, led by Kaye Gattis, will focus on the study of Jesus from John’s perspective. Then we will study how Paul and other writers view Christ. However, Presbyterian Women is much more than just participating in a Bible Study. It is a time of fellowship with other Christian Women. It is also an opportunity to support those in our congregation and reach out to others in our community who are in need. Over the past few months, we have paid an electric bill for a family and contributed $300 toward a mortgage payment for a single mom. We also gave a graduation gift to a senior at Crossnore Academy. We have also given wedding and baby gifts to employees and relatives of members in our congregation. The Women of the Church provide meals to families dealing with illness or loss of a family member. The Women of the Church help co-ordinate Family Night Suppers and when necessary purchase additional food. We provide flowers when needed in the sanctuary or for special occasions like Homecoming. Our 2017 Birthday offering was $275, which was sent to Presbytery to support special mission projects around the world. This is an open invitation to all women of Newland Presbyterian Church, please plan to attend our next meeting on Mon., Oct.2 at 10:00. You are needed to help us grow in our faith and service to others in our church, community, and around the world! Our T-Shirts turned out very beautiful!! Peggy Baird has been instrumental in getting the design going and finding Yellow Mountain Enterprises, Inc. to do them for us at a good price. We completed several orders thus far and for this year Peggy is placing the last order by October 31. There is still time to order if you are interested! Amber Williams’ awesome display for 41 & change Nicaragua coffee in the hall reminds us how we can help to support a mission project of our church. Last June our congregation participated for the first time in a Young Life mission trip to Nicaragua and our five young people came back very impressed by what they experienced: the apparent poverty on one hand and the strong commitment to Christian values on the other. Please check it out, by buying the coffee (makes great Christmas presents too!) we can help sending young children to camp. Newland Presbyterian Church members and their families worked and planned, together with other churches (Arbor Dale Presbyterian Church for one) and the Young Life Leadership in the High Country, to make it happen: NPC’s first Mission Trip! On June 24, Rev. Michael McKee, Amber and Blake Williams, John Henry Adams and Mason Winters, joined the group to fly to Managua, Nicaragua, and with a bus on to Esteli in the mountains, to share work and the gospel, and to make friends with their hosts who live there. For all five it was a time of intense living and learning. Michael likened it to experiencing the three stages of the Beatitudes. First, feeling empty and needful, seeing so much poverty; then God filling them up with the love and compassion of their new friends and lastly overflowing with the feeling of receiving and giving blessings, all in the name of Jesus. What I liked most about our mission trip was how caring for us the people we met were; and although we had known each other only for the shortest time, they treated us like family. We learned about each other what we liked to do, and about each other’s culture. Also, they showed us what food they liked to eat and what sports they watched and played (I played soccer with Nicaraguan boys). My favorite thing we did together was when we played “Lento”, which means SLOW in English. I sure hope to go back to Nicaragua to see my friends there! Cookie bakers who are willing to bake 3 ½ – 4 dozen cookies for social time after church – beginning April 2018. Please contact Judy Marshall at 828 733-1748. One of the very engaging habits Members and Friends of N PC have, is to let the church participate in their family celebrations by placing on Sunday flower arrangements in the pulpit. Sometimes a birthday, or a wedding anniversary, sometimes a memorial of a loved one, or sometimes “just because”… The occasions are varied. But it is always a beautiful sight to see and appreciate. Last Sunday was such an occasion, and our pulpit was graced with a most stunning and touching arrangement of beautiful flowers in a child’s red wagon. Little Corbin Isley and Lisa, Roy and John Henry celebrated being a family together and sharing with the church their happiness.